The Jingmei Human Rights Memorial and Culture Park in New Taipei City is a former military prison. It now serves as a memorial of Taiwan’s White Terror era. This is a text I sent to the Taipei Times as a letter to the editor in early 2010. For years, the debate surrounding the former Jingmei Prison in Xindian has been covered extensively in the media. Therefore, I did not know whether to laugh out loud or just bang my head against the wall when I read the statement by Council for Cultural Affairs (CCA) Minister Emile Sheng in the Taipei Times: „We plan to (…) hear more opinions, look more into the history that the site represents and then carefully plan the future of the park“, he said – almost one and a half years after the newly elected KMT government closed the prison memorial and turned its management over to the CCA. Now, it is called Jingmei Human Rights Memorial and Culture Park (景美人權文化園區). If even foreigners like me or Michael Turton like me can grasp the meaning of Jingmei Prison, how can Emile Sheng after all this time of being responsible come up with such a ridiculous statement? I visited Jingmei Prison three times over the past one and a half years, each time getting a valuable lesson about how Taiwan tries to come to terms with its past as a dictatorship – or not. In June 2008, the Jingmei Human Rights Memorial was still as when it had opened in 2007 – an impressive reminder of how authoritarian regimes can ruin people’s lives. But there were hardly any visitors, and I do not remember signs to help us find the place. By the way, why did Mr. Sheng not point to this statement when the CCA was recently attacked for art exhibits in the park? Obviously, he just followed orders. Check out this excellent photo gallery on Flickr with pics and comments from June 2008 and June 2009. In December 2009, the place was open again, now named „Human Rights Memorial and Cultural Park“. Again, even on the weekend, there were almost no visitors. Going there, I was relieved to see that the changes made werde not fundamental. The cells could still be accessed, as could the courtroom in which the „Kaohsiung Eight“ were sentenced in 1980 in the government’s last big-scale attempt to crush Taiwan’s opposition. But I noticed some subtle changes that lessened the impact the memorial had on me. First, in 2008 there was a video monitor set up in the Military courtroom. 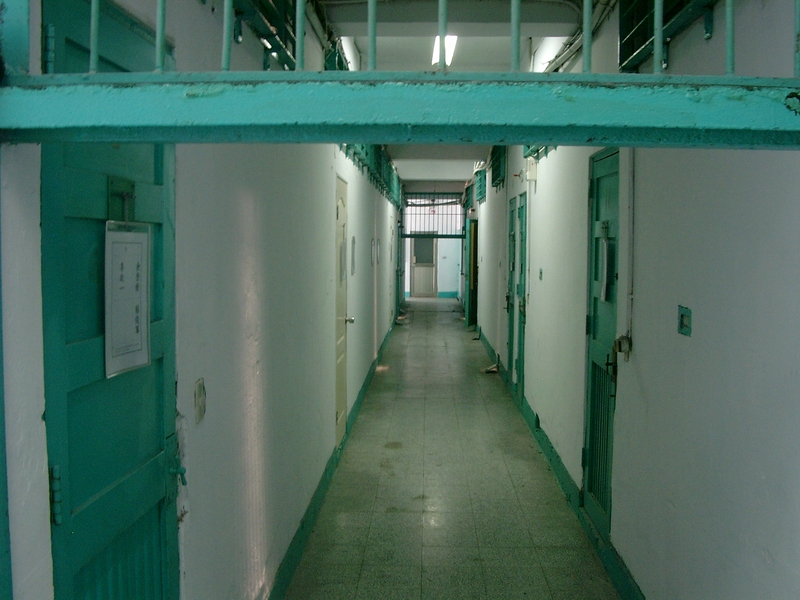 It showed photos of dozens of soldiers who had been sentenced to death in that very room – before and after their execution. Rarely had I seen such a spine-chilling and thought-provoking installation in any memorial I had visited. It is gone now. Apart from the typically shoddy English translation, this gives the impression that everything is fine in Taiwan, as the political past has successfully been dealt with. Based on my observations, I would say this is not the case. I come from Germany, where we have made our own experiences with all kinds of dictatorships. In Berlin, there is a memorial with a meaning quite similar to Jingmei Prison. It is the former Stasi (State Security Agency) prison Hohenschönhausen, where East Germany’s communist dictatorship arbitrarily incarcerated and tortured people without due trial – much like it happened in Taiwan, too. Today, as some East Germans yearn for the „good old times“ when they had no freedom but their jobs were safe, school classes regularly visit this memorial and listen to former inmates talking about their experiences. There were more than 300.000 visitors in 2009. Schools and teachers in Taipei and Taipei County (New Taipei City) should be encouraged to visit Jingmei Prison with their students, get a first hand impression of their country’s dark past and listen to people who had to suffer through torture and imprisonment. And if they do not want to come, it should be made a mandatory part of the curriculum. Only by confronting the past can people finally come to terms with it and will not fall for lame excuses like the one Emile Sheng just offered. Talking about hiding the past, there is one more striking example of that in Taipei: The National 228 Memorial Museum, as important a reminder as the Jingmei Prison, is missing from the maps found in Taipei’s MRT stations. While even banks are meticulously included, there is no indication that the 228 museum even exists. Little wonder, then, that is is also empty most of the time, as tourists cannot find it and school classes are not brought there. How about doing something about that, Mr. Sheng? While I generally appreciate the Taipei Times for coming up with lots of exclusive stories, I must say that over the months, their coverage of the Jingmei debate was based too much on reporting official statements, instead of just visiting the place and documenting the changes. Regarding the 228 Memorial Museum: The Lonely Planet of course mentions it, and it is not hard to find. When I was there in 2005, I was shown around by a man you was in Junior Highschool at the time of the 228 incident. It is very informative indeed. It is surprising that many people in Taiwan, both locals and foreigners, do not know about the 228 Museum. 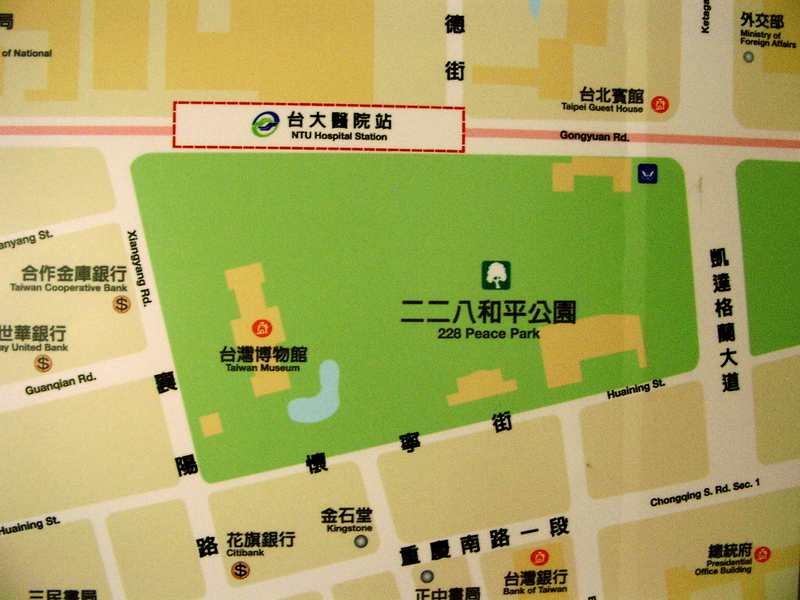 Also there is often confusion between the National Taiwan Museum and the 228 Museum which are both located in 228 Park. Unfortunately even fewer people are aware of the Jingmei Detention Centre and it is in a much more out of the way location. Good post. I think this is because the KMT government doesn’t want to lose votes by digging into its dark past. I don’t expect the KMT to own up to its past. It is sad because after decades of brainwashing from the KMT, many Taiwanese do not know their own history. The prison is right between the MRT stations Jingmei and Dapinglin, on the south side of the river. So, technically it’s in Xindian (Taipei County), not in Taipei City. Take the Green MRT line to either station. From Jingmei, walk south on Roosevelt Rd. From Dapinglin, walk north on Beixin Rd. Just south of Mingyuan Bridge (across the river), turn west on Fuxing Rd. Walk straight for about 10-15 minutes, crossing Jianguo, Zhongzheng and Minsheng Rd., and you have arrived at the prison. This is a Google Maps image of the prison. It’s the compound with two rectangular yards and some barracks to the north of it. Taipei County, Xindian City, 131 Fuxing Rd. Im Grunde genommen, die jetztige KMT hat sich gar nicht viel geändert und hatte immer wieder Schlagszeile, Umruhe und Proteste besorgt. During the Martial Law era, the Jingmei military detention center was notorious for violating the human rights of its numerous political prisoners. Now known as the Human Rights Jingmei Memorial Park, the Council for Cultural Affairs this year decided to rename the former detention center Jingmei Culture Park and renovate certain buildings to allow artistic and cultural groups to use the space. The Jingmei detention center witnessed the unbearable darkness of the White Terror era — which followed on the heels of the Chinese Civil War — in which many people were detained and jailed for most of their lives. How can the government unscrupulously distort and trample all over the historical meaning of the site? The memorial park should be preserved to highlight the significance of human rights rather than be decorated and embellished as a cultural park. More importantly, not only should the name be changed back to the Human Rights Jingmei Memorial Park, but the government also needs to face Taiwan』s history through concrete action. The relevant authorities should conduct a thorough survey of the site in working toward establishing a national museum, together with accompanying legislation. The government should then open the site to school trips for civic studies and awareness of history. The preservation of the site should be part of efforts to prevent human rights violations from happening again. President Ma Ying-jeou (馬英九) recently signed the Act Governing Execution of the International Covenant on Civil and Political Rights and the International Covenant on Economic, Social and Cultural Rights (公民與政治權利國際公約及經濟社會文化權利國際公約施行法), but this does not mean that there has been improvement in human rights protection in Taiwan. The government must act, lest it end up being no different from the regime of dictator Chiang Kai-shek (蔣介石), who froze the Constitution and encroached on human rights. If the government only pays lip service to protection of human rights, the constitutional meaning of its behavior would be no different to that of Chiang when he declared Dec. 25 Constitution Day. This would be most ironic. It is unwise to issue noble statements about the White Terror while refusing to learn its lessons, just as it is unacceptable to ignore the history of human rights violations while behaving in like manner. It is also cowardly to fear admitting to historical mistakes and trying to cover up the truth. An unwise, malicious and cowardly government is neither qualified nor capable of leading a people. We call on the government to preserve the Human Rights Jingmei Memorial Park, push through legislation protecting human rights and establish a national human rights memorial hall at the site. In addition, we emphasize that only by facing the darkness of history can we embrace a bright future. Human Rights or Art Rights? “ For thousands of years, artists have been vulnerable when they present their artwork to viewers…But today, Taiwanese artists are facing threats they’ve never experienced before.” – Association of the Visual Arts in Taiwan, December 2009. December 10, 2009, on the eve of the thirtieth anniversary of the Formosa Incident, Chia-Chun Chen（陳嘉君）, the wife of a former political victim Ming-teh Shih (施明徳), intruded into contemporary artist Wen-Fu Yu’s（游文富) outdoor exhibition, Outside the Wall (牆外), and destroyed some of the artwork during the opening press conference at the Jingmei Human Rights Memorial Park (景美人權園區). The incident was immediately captured by reporters. Meanwhile, the artist, overwhelmed with grief, cried uncontrollably and nearly collapsed on the spot. 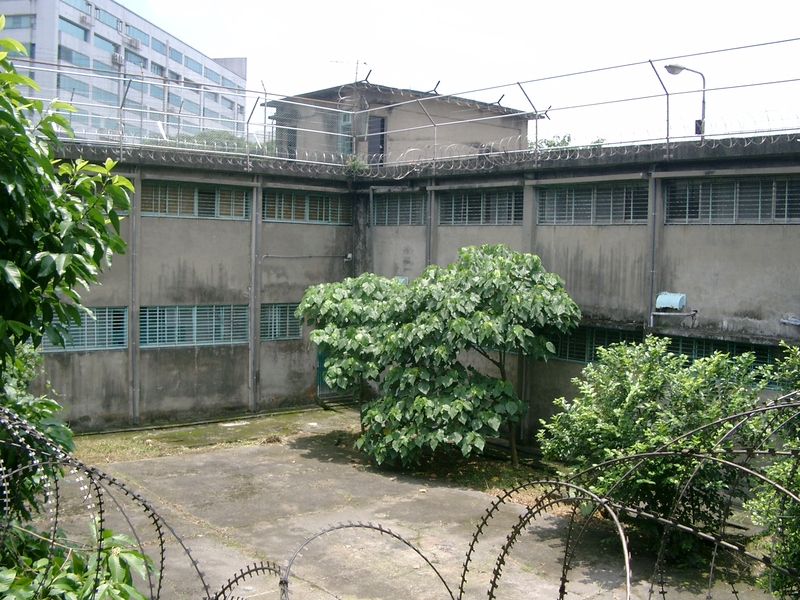 Yu’s controversial work was placed in the former prison cell of Shi-Ling Wang (汪希苓 ), who was once chief of the Taiwan’s intelligence bureau. Wang was confined to what is now the Jingmei Human Rights Memorial Park after his plot to assassinate controversial author, Henry Liu （劉宜良，筆名江南), was uncovered by the Federal Bureau of Investigation in the U.S. The government had no other way to deal with Wang except to put him into confinement in Jingmei. Outside the Wall was created from the perspective of a person behind bars, mimicking the prisoner’s will for freedom. Placed outside the walls of confinement, several doves were flying away from a prison-like, thorny bamboo thicket, reflecting the prisoner’s innermost desires. The artist created the work for the sake of art, without specifically referring to Wang but rather hoping to capture the desire of every prisoner. But with a different interpretation, this craving for freedom became a thorn in Chia-Chun Chen’s eye, since the elder brother of her husband, Ming-Cheng Shih (施明正), died of a hunger strike while protesting the government’s terrorist policies and its special treatment of political prisoners like Wang. Ironically, her husband, Ming-teh Shih, who went on a hunger strike alongside his brother, was arrested and sentenced to life in prison in shabby jails in the very same area as Wang’s luxurious personal jail. While the artist himself claimed that his work was not designed to honor Shi-Ling Wang, various groups still read the work from their own perspective. Some regard Wang as a patriotic figure, while others, like Chen and her husband, consider the artwork a disgrace and a means of trying to hide Taiwan’s inglorious past. The relationship between art and context has been debated for a long time, and this incident has also caused a fiery controversy. Should artwork be judged apart from outer circumstances or should it, along with the place in which it is displayed, offer an integrated meaning? Also, should artists interpret their artworks on behalf of controversial or notorious figures? Although this artist claimed that his work was not meant to praise Wang, the location in which it was exhibited makes that argument hardly persuasive. On the other hand, what if the artist did it on purpose, whether to be ironic or to express his personal political views? And should people be allowed to destroy the work of others? The next day, furious Taiwanese artists, along with several cultural groups, and the Association of the Visual Arts in Taiwan, protested in front of the Council for Cultural Affairs (CCA), urging that CCA should immediately respond to the event in order to respect the rights and freedom of art creation. CCA responded that the discord was merely a misunderstanding caused by different interpretations of Taiwanese history. On January 28, CCA held a press conference to apologize. Eventually, on February 24, Yu took down the whole installation and the conflict basically ended. Outside the Wall might be torn down and turned into a part of history, but debates about the arts are still thriving. At the very least, I hope, we can show respect to other’s artwork even when it may express different opinions. The Formosa Incident （美麗島事件）, a.k.a the Kaoshiung Incident, was the result of pro-democracy demonstrations that occurred in Kaoshiung on December 10, 1979. The incident occurred when Formosa Magazine, headed by veteran oppositionLegislative Yuan Legislator Huang Shin-Chieh (黃信介) and other opposition politicians such as Ming-Teh Shih held a demonstration commemorating Human Rights Day in an effort to promote democracy in Taiwan. At that time, the Republic of China was a one-party state and the government used this protest as an excuse to arrest the main leaders of the political opposition. 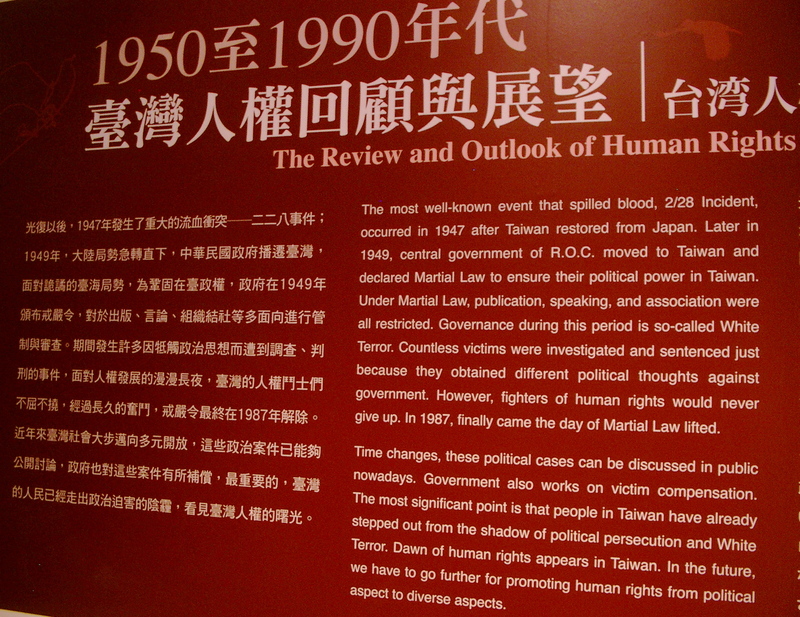 The event, however, had the effect of galvanizing the Taiwanese community into political action. Today, it is regarded as one of the events that eventually led to democracy in Taiwan. The Formosa Incident （美麗島事件）, a.k.a the Kaoshiung Incident, was the result of pro-democracy demonstrations that occurred in Kaoshiung on December 10, 1979. The incident occurred when Formosa Magazine, headed by veteran opposition Legislative Yuan Legislator Huang Shin-Chieh (黃信介) and other opposition politicians such as Ming-Teh Shih held a demonstration commemorating Human Rights Day in an effort to promote democracy in Taiwan. At that time, the Republic of China was a one-party state and the government used this protest as an excuse to arrest the main leaders of the political opposition. 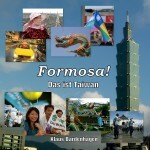 The event, however, had the effect of galvanizing the Taiwanese community into political action. Today, it is regarded as one of the events that eventually led to democracy in Taiwan. Der Künstler hat sich schliesslich in aller Öffentlichkeit entschuldigt für seine geschichtliche Unwissenheit der und Verletzung der Gefühle von Opfer.Da sieht man wieder, wieviel junge Leuten nichts von eigenen Geschichte wusste und die Fehler der regierende KMP.Wie könnte diese Absurdität so passieren?